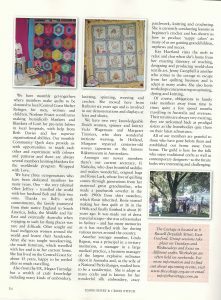 Several years ago Eileen, our then president, was interviewed for the ‘Embroidery and Cross Stitch’ magazine. A three page article was printed all about our guild and there were photos of our lovely ladies that quilt on a Wednesday. I recognize pretty much everyone there so nearly everyone is still a current member. 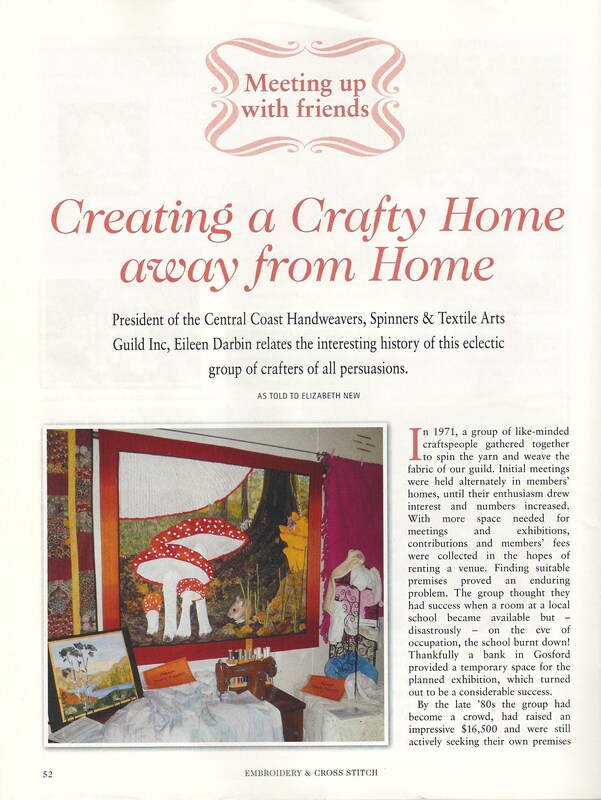 Eileen found the article recently when she was browsing through some of her magazine collection. This was a great article. Keep up the great work of which you can all be very proud of. 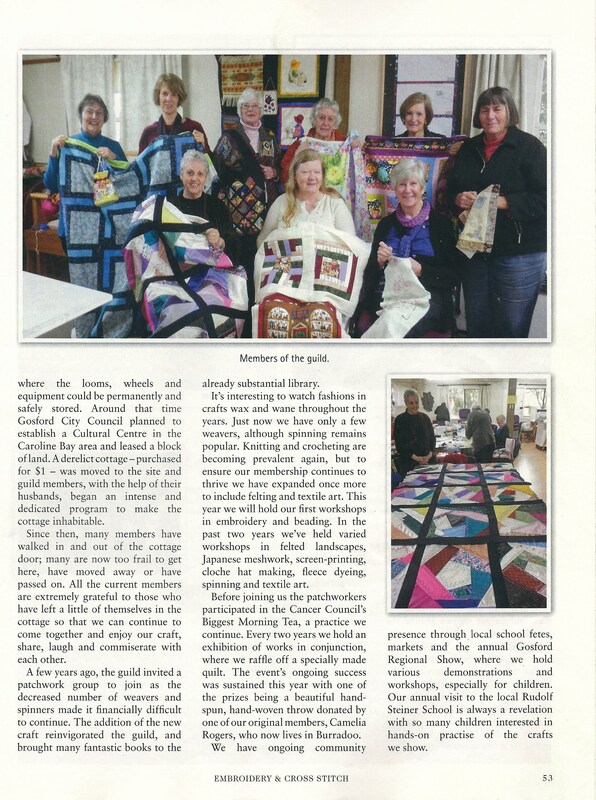 What a great group of our Members. 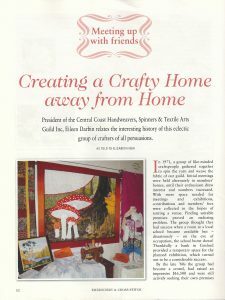 A nostalgic read Eileen…….things remain the same, don’t they, with a “tweak” now and then and the ups and downs of trends and interests. 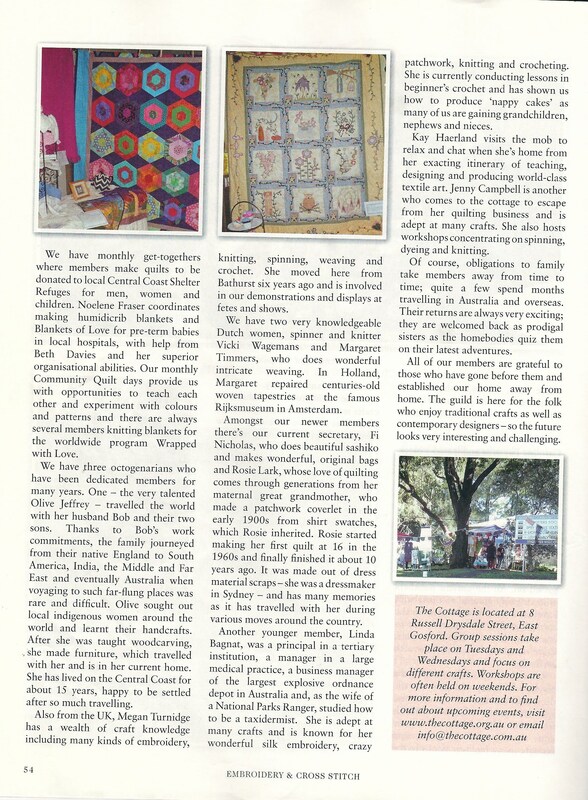 Lovely to read it and to see the photos of happy members of the patchwork group.